If dealing with your own accounts is proving to be a daunting task, then now is the time for a change. We will save you time and money, and take the hassle out of your daily routine, freeing you up to do what you do best...running your business. We are not just number crunchers (although we do love our Casio!). We can help develop financial planning strategies that will ultimately result in a healthier bottom line for your business...sales targets and P&L accounts are a walk in the park for us. Give us a call today on 0151 339 9454 or 0787 295 6629, we don't bite, we talk in clear, plain language, and if you twist our arm, we might invite you to our office for a cup of tea and a Penguin. We can then discuss your business and how we can help you achieve your goals. 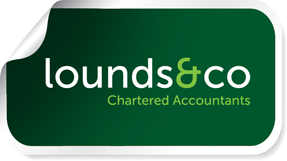 With Lounds & Co’s basic accountancy services, you can rely on first-class financial advice and products, clearly explained and professionally executed. The Lounds & Co Elite elements have been developed to help businesses of all sizes achieve maximum financial efficiency. To us, clients are more than just numbers. Harnessing years of experience from working with businesses and individuals, we know that getting on with people and truly understanding their needs and goals is the key to mutual success. Our mission is to be valued and recommended as your accountants and business partners. To be the first accountants that you really want to talk to and about. To forge meaningful and long-term professional relationships. 2 - taking the time to understand your business, and working with you to shape and deliver your strategies as quickly and cost-effectively as we can. How can Lounds & Co help you? We can provide all the basic services you’d expect from an accountancy practice: payroll, accounts preparation, taxation, book keeping, and so on. 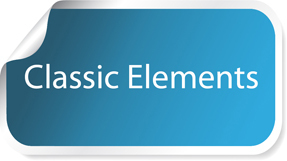 These are our classic elements: flexible, adaptable and tailored to suit your unique requirements. We also offer an elite set of solutions. These enhanced services, like financial forecasting, management accounts and one-to-one financial performance products can make a real difference to your financial performance. You can pick and choose which products will work hardest for you and your money. No hidden costs. No sales tactics. Just professional, tailored advice and services. Call now for a free one-hour consultation meeting where we can discuss how Lounds & Co can help you and grow your business.